How to grow in being good! Christians are to be growing in doing what is good. In order to grow in goodness we need goodness growers. Feed on the gospel of the good news of God’s goodness and feed on teaching about what is good. We also also need to avoid goodness killers such as false teaching. A healthy Christian is a learning Christian. Enrolled in the school of grace a Christian learn that Grace saved us, grace teaches us and grace is returning for us. Titus 2. Titus 1:5-16. To be a healthy church filled with healthy followers of Jesus we need to be led, be fed and beware. What will it take to put our lives, our churches in order? It will taking being taught gospel truth. That is the job Titus was left to do on the island of Crete. 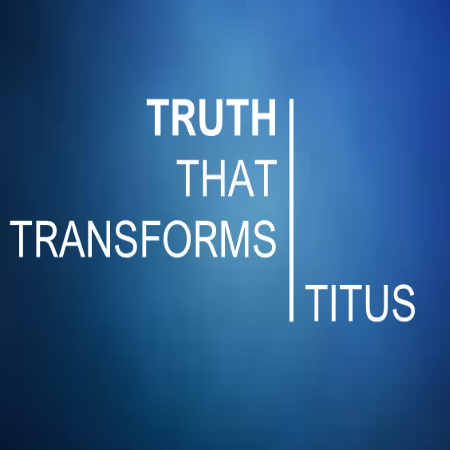 Titus 1v1-4.